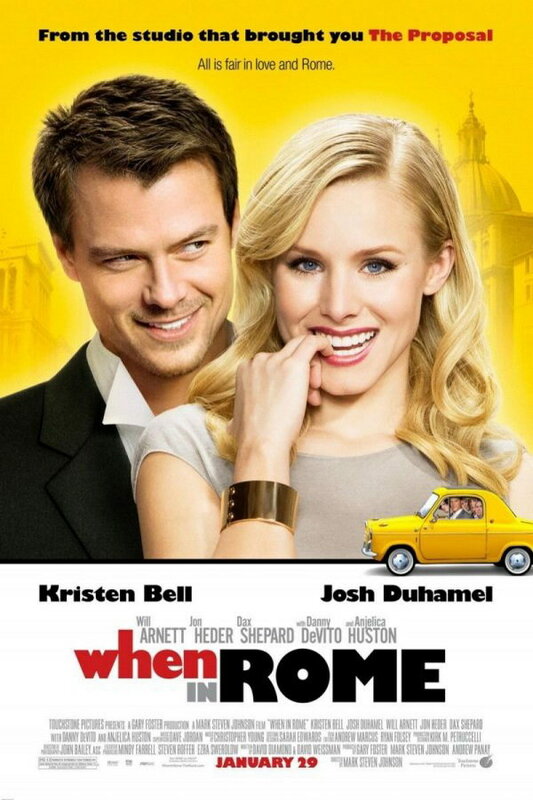 When in Rome font here refers to the font used in the poster of When in Rome, which is a 2010 American romantic comedy movie. The font used for the movie title in the poster is Gill Sans Ultra Bold designed by Eric Gill. The font is a commercial one and you can view more details about it here. In addition to When in Rome, Gill Sans typeface is also used in the following logos, movie posters or album covers etc., including: Thomann Logo, Ferris Bueller’s Day Off, ARM, Frequency, Me, Myself & Irene, Harry’s Law, Juliet, Happy-Go-Lucky, Alvin and the Chipmunks, 13 Reasons Why, Wet Seal, Land Rover, Dodgeball, Save the Children, Shallow Hal.